It is a pleasure to be part of another Booming friday hosted by Katarina at roses and stuff. There are lots of blooms in my garden, Spring at the peak. First comes this beautiful freesia. I planted lots of freesias this year as they are sure to bloom in our weather and adapt very well to our hot climate. I have never seen such lovely color before. And do i need to tell you the fragrance is just outstanding. 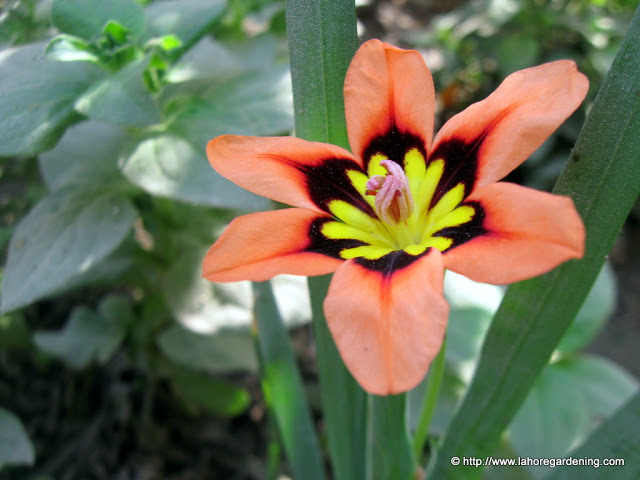 I also planted sparaxis bulbs but not all of them showed the blooms. This one did send up some awesome blossoms. A treat to watch if you have planted them in masses. Another warm climate bulb from south africa. so here goes the Harlequin Flower. 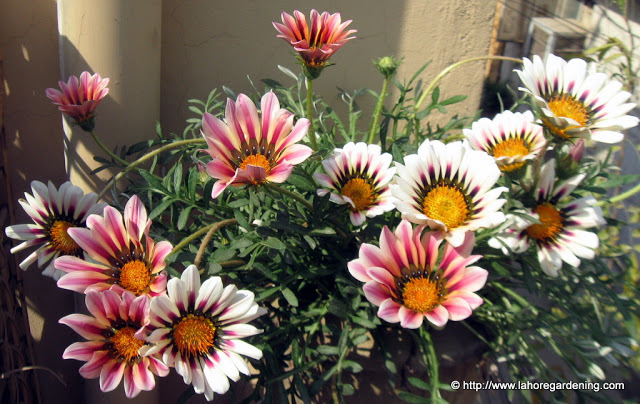 Here comes another heat tolerant dazzling bloomer, gazania. Even in this 90F temperature, they will endure drought. What a tough plant it is. And what a splash of colors they provide. Pink ranunculus blooming in clay container. I grew them from the corms/tubers. Your freesia is just beautiful. I saw some purple freesia in the nursery this week, but am not sure if it can really handle our hot and dry summers. I don’t think I will risk it, but I do think they are lovely. Wonderful! Please send some spring! ;) Here the snow still is thick and cold. Have a nice weekend. Pink ranunculus how very interesting, I wonder if I can sow them from seed? 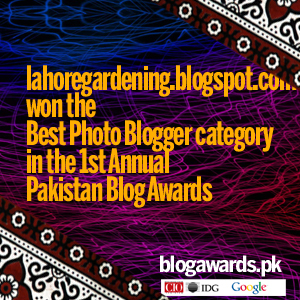 @Tyra – you can sow them from seed and the flowers will be larger than those grown from tubers/corms. They will however take around 5/6 months to bloom. Your garden must be really beautiful at this time. 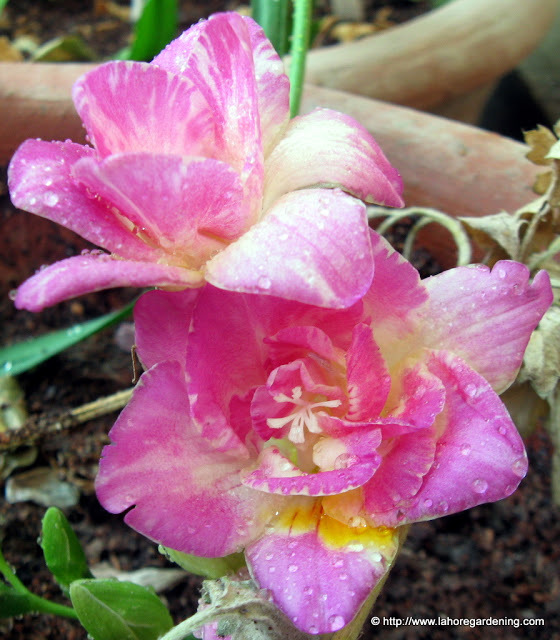 beautiful blooms… I like freesia. they grew leaves and hasn’t flowered yet. I wonder how long it takes them to bloom… or maybe not! I like the gazanias.. they look lovely in that picture. Really beautiful pics, I liked freesia, haven’t grown them yet. 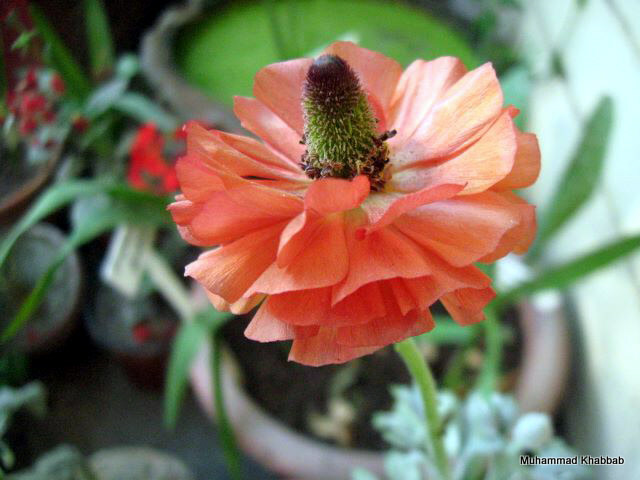 I didn’t know that Ranunculus can be planted through seeds. Will surely try it.